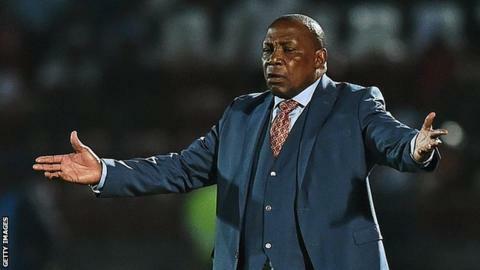 Former South Africa coach Ephraim 'Shakes' Mashaba has lost his application to block the country's FA (Safa) from appointing another coach. This will enable Safa to name a new coach, which it hopes to do by the end of February. After being fired for gross misconduct in December, Mashaba appealed his dismissal at the Commission for Conciliation, Mediation and Arbitration. He had wanted to prevent Safa from hiring a new coach until his appeal had been heard but on Tuesday, the Labour Court dismissed his application. "We have always maintained that we did everything by the book when Mashaba was found guilty on three charges by our internal disciplinary hearing," said Safa spokesman Dominic Chimhavi. "That process was transparent‚ independent and fair on both sides. "In fact‚ Mashaba was represented by his lawyers and before the process got under way‚ had requested two postponements because they wanted certain documents from the Association which we provided." Mashaba's termination arose after an outburst following a 2-1 World Cup qualifying win over Senegal in November, whereupon he publicly criticised both Safa administrators and the country's media. Safa has said it hopes to appoint a new coach before two friendlies next month, the first of which - against Guinea-Bissau - takes place on 25 March. Names on the shortlist include former Manchester City boss Roberto Mancini, three-time Africa Cup of Nations winning coach Hassan Shehata and Cameroon coach Hugo Broos, who has distanced himself from the post. Belgium's Broos is understood to be a serious contender, while Morocco coach Herve Renard - who has won two Nations Cup titles - and Carlos Quieroz, who led South Africa between 2000-2002, are also potential candidates. In a separate development, Fifa President Gianni Infantino visited Safa on Tuesday. Safa's headquarters will soon host Fifa's regional offices for Africa, which have been relocated from Botswana. The Swiss-Italian is in South Africa for a Fifa Summit which will take place in Johannesburg, ending on Thursday. "It is a great pleasure to be here in South Africa, here in Johannesburg for this summit - this football summit which we organised for the first time in Fifa history," Infantino told reporters. "We will have representatives here from Europe, from Asia and, of course, from Africa."